MUMBAI, 21st May, 2018: Dickenson Seagull IR Solutions (DSIR) has entered into a contract with imminently listing IndoStar Capital Finance Limited (IndoStar) for providing full scope IR solutions, encompassing market positioning, visibility enhancement and feedback analysis. DSIR has been selected by the PE backed financial services major on the basis of its premium investor relation services and established market relationships with the sell-side and buy-side communities. IndoStar is one of the India’s most reputed and trusted corporate lending NBFC. It is now looking to transform into a diversified financial services powerhouse by building presence across Home Finance, Vehicle Finance and SME Finance in addition to Corporate Lending. This will transform Indostar into an unique combination of Asset-backed Finance and Housing Finance company. “IndoStar is well capitalised to rapidly scale up its presence at a time when both domestic and macro-economic indicators have begun to look promising. With a strong B2C focus going forward, IndoStar is poised to deliver encouraging performance results going forward. With good governance, transparency and customer-centric solutions, IndoStar is forging ahead in the Indian financial ecosystem.” stated Mr. Manoj Saha, Managing Director, Dickenson Seagull IR Solutions. 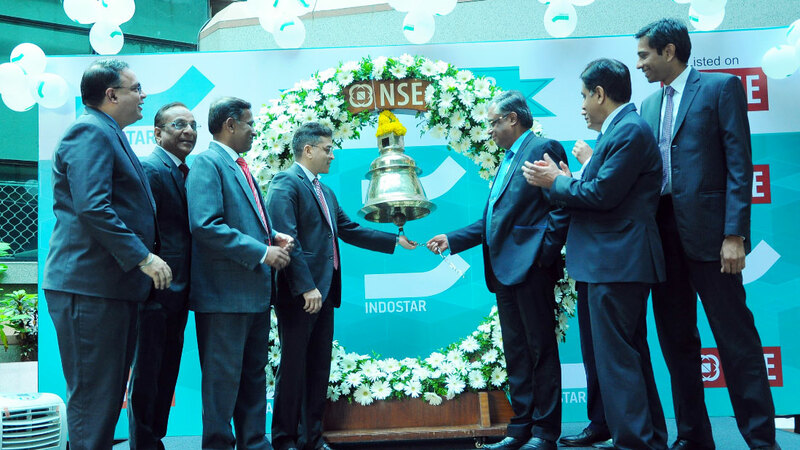 IndoStar Capital Finance Limited (IndoStar) commenced its operations in 2011 and has cemented its reputation as a trusted Non-Banking Financial Company (NBFC). IndoStar has grown at a steady pace over a span of six years. The Company offers tailor-made financial services to meet specific customer requirements in the form of Structured Term finance to corporates and Loan Against Property (LAP) to SME borrowers, making it a partner credit institution for Indian Corporates. Being sector agnostic, IndoStar has financed mid-to-large sized corporates across sectors including real estate, cement, power, media, entertainment, dairy, financial services and infrastructure. Sponsored by Everstone Capital, IndoStar is the first Indian NBFC to enjoy the support of leading global financial institutions which includes Goldman Sachs, ACPI Investment Managers and others. IndoStar Home Finance Private Limited is a 100% owned housing finance subsidiary of IndoStar. It started its operation in September 2017. It offers Affordable Home Finance and Home Construction Finance. It will soon be opening its branches in tier-II and tier-III cities of India.